Curries is one of the ultimate comfort food in my book. Meat and vegetables cooked down in a large pot, with a variety of herbs and spices, and paired with plenty of rice and naan, ticking off everything that’s needed to create perfect Winter dinner. 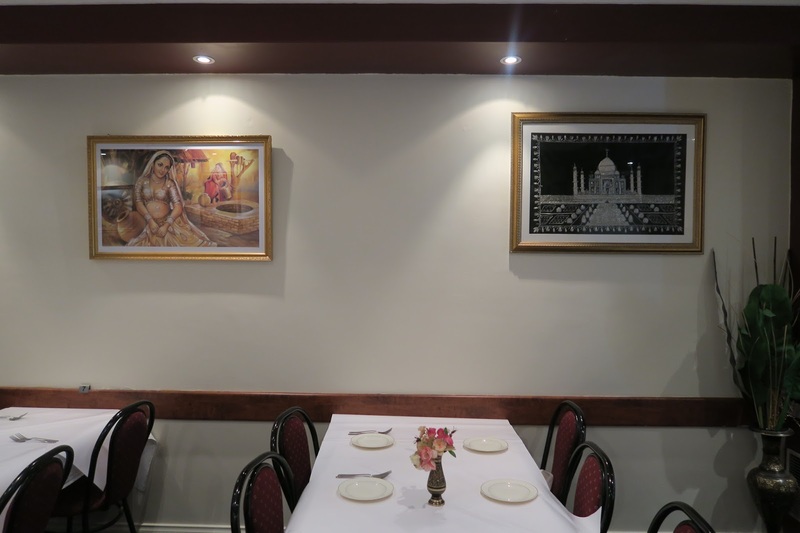 Punjabi Curry Cafe certainly looked promising, with its dark and sleek setting, and a tandoor situated towards the back of the restaurant. Pani Puri is a common street food in India. The delicate puri shell is filled with a mixture of potato, onion and chutney. Although small, each bite created a firework of flavour inside your mouth. 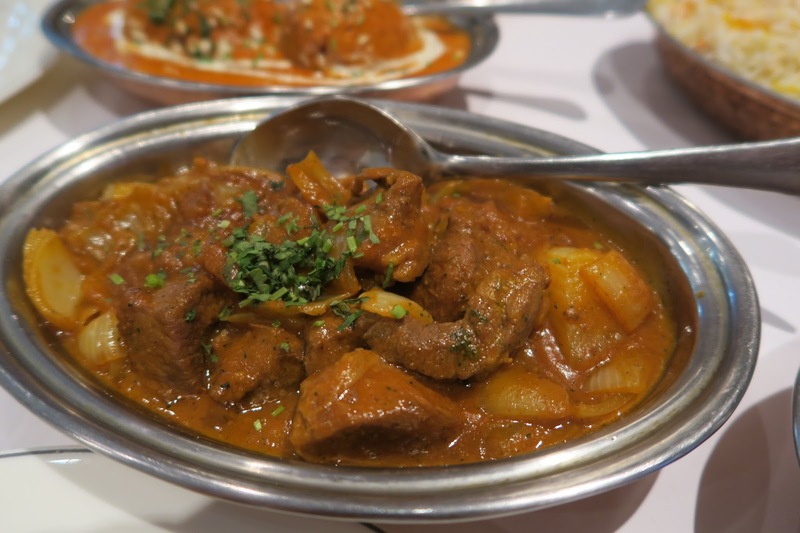 I really enjoyed the beef masala, the gravy was thick and fragrant, and the meat were very tender. 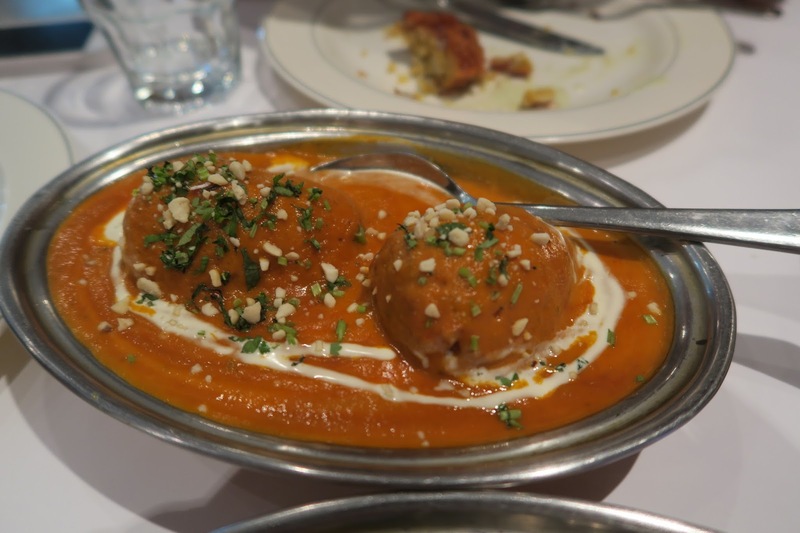 I use butter chicken as my benchmark for all Indian restaurants, and the rendition at Punjabi Curry Cafe, although creamy, was nothing to write home about. The pieces of chicken were a little dry, and although there was plenty of sauce, it was quite run of the mill, for lack of a better term. We wanted to try something a little more adventurous and landed on the Kadai Paneer, the sliced paneer were cooked in a thick tomato based gravy with a heavy hit of spices, Kadai masala in particular. 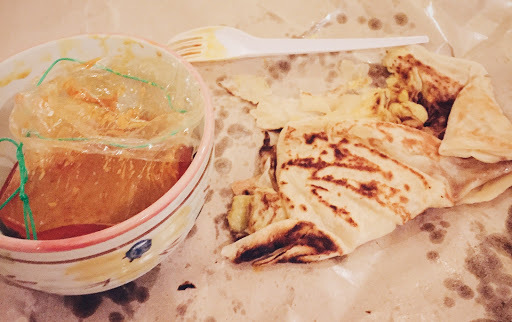 It was definitely an interesting dish to say the least, and its lightness was appreciated considering that the other curries were on the heavy side of things. The fluffy saffron rice was the perfect vehicle for all of the curries. Fresh the tandoor, the greasy garlic cheese naan was delicious on its own, and even better when dipped into the sauce of the curries. 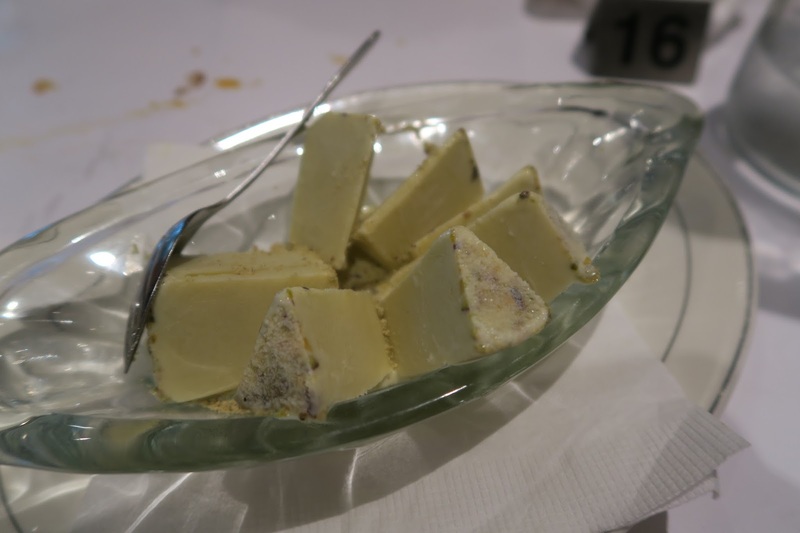 We ended the meal with some pistachio kulfi, i.e. Indian ice cream. The ice cream had the texture of a solid sorbet, and the pistachio flavour was quite prominant. 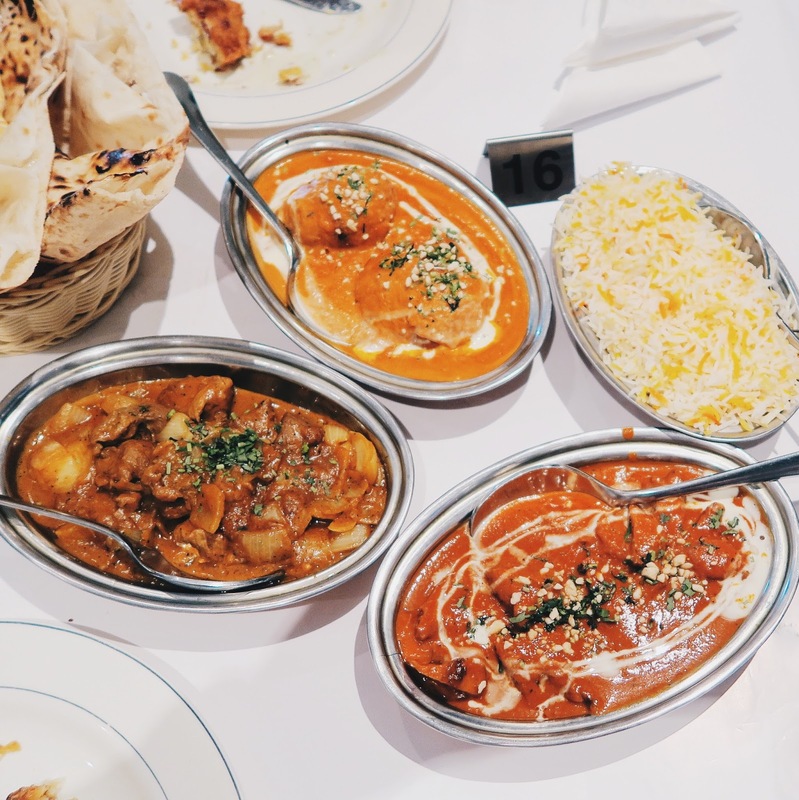 Punjabi Curry Cafe is what you would expect from a neighbourhood Indian restaurant, the curries were of decent quality, and it would be a great place to hit up whether you’re feeling like a heavy-duty Indian dinner out, or just looking to grabbing some takeaway on the way home. 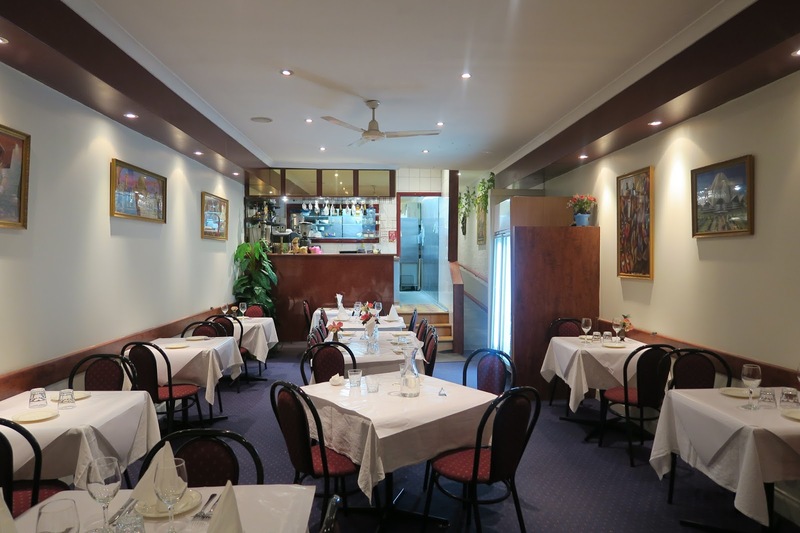 Punjabi Curry Cafe is located on Johnston Street, catch tram #86 Waterfront City Docklands to Bundoora RMIT and get off at Johnston Street/Smith Street, and the restaurant is a short three minutes walk away. 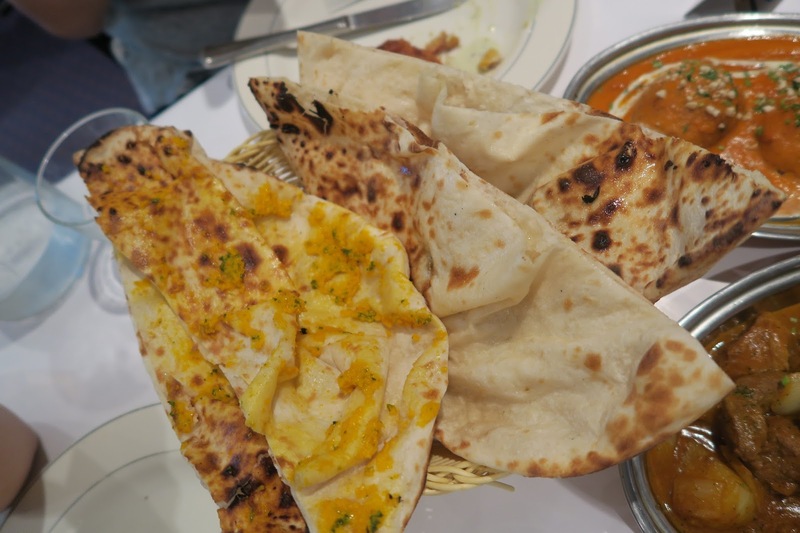 I dined as a guest of Punjabi Curry Cafe. Hidden away from the foot traffic, Delhi Streets lures diners in with a tentalising selection of Indian street food. Despite its location, diners were pouring in and out of the restaurant throughout the night. Being the keen beans we were and arriving just after 6pm, we safely secured some bar seats, and were excited to sample what was on offer inside the colourful and contemporary space. Being known for serving up street food, it should be no surprise that Delhi Streets had an extensive selection of entrees, some of which I haven’t seen elsewhere. Wanting to try a bit of everything, we opted for the chatt platter, which came filled with four types of chatt, ready to be devoured. The pani puri is something has quickly become a must-order for me. 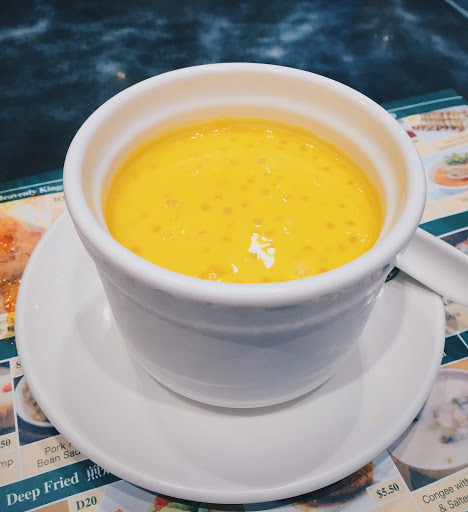 The novelty of pouring in the spiced water never seems to wear off, and the combination of the crunchy shell and soft potatoes is a great way to get your tastebuds excited for what’s to come. The aloo tikki was light and fluffy, the curry spices bringing layers of flavour to the potatoes. Smothered in tamarind chutney and yoghurt, papri chaat is the Indian counterpart to nachos. The flour crackers did the heavy lifting for the chickpea and potatoes, and it was a light and refreshing change to the traditional nachos. Bhel puri is reminiscent of a grain salad, and it was seriously texture city, with its combination of puffed rice and sev, i.e. small pieces of fried noodles. The tangy flavours come from the bhel chutney, rounding it up to be a salad not to be missed. The Special Thali is a good dish to order if you can’t decide on one curry to settle on, as you’re given the option to choose three of the available thalis. 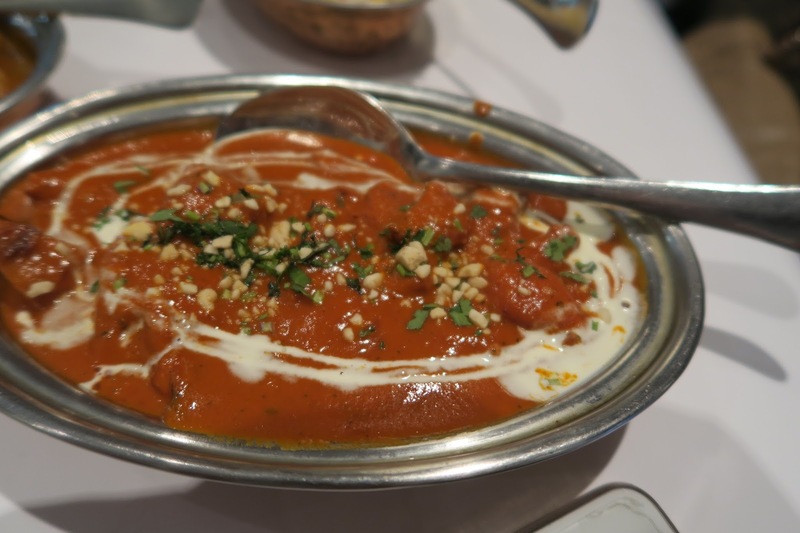 The butter chicken was thick and creamy, and was really taking comfort food to the next level. The lamb vindaloo, on the other hand, had a nice kick to it, and the chunks of lamb was extremely tender. The vegetarian option came in the form of lentil curry, which was mild and flavoursome. 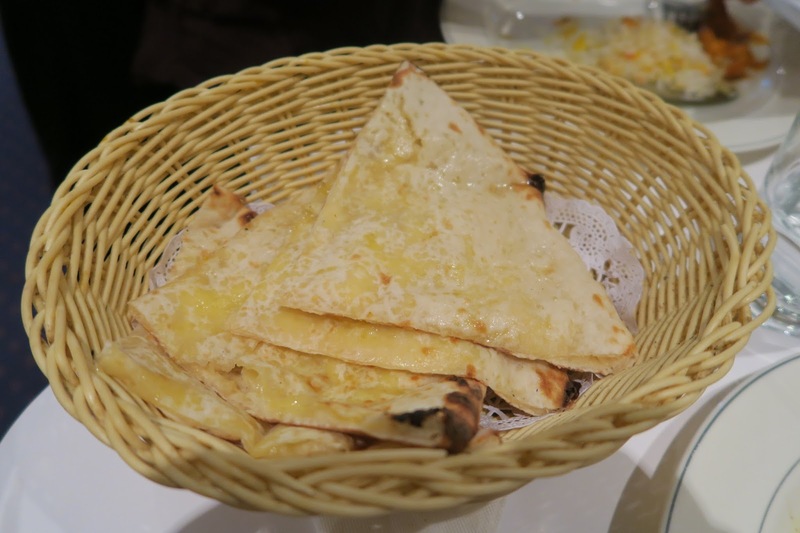 The accompanying naan was soft and pillowy, and were great for soaking up the various sauces. All in all, this was an extremely satisfying platter to share between two. Taking on a refined and contemporary approach that doesn’t compensate on flavour, it is easy to see why Delhi Streets is loved by many, of which now I am one of. I will definitely be back to try more things on its extensive menu. 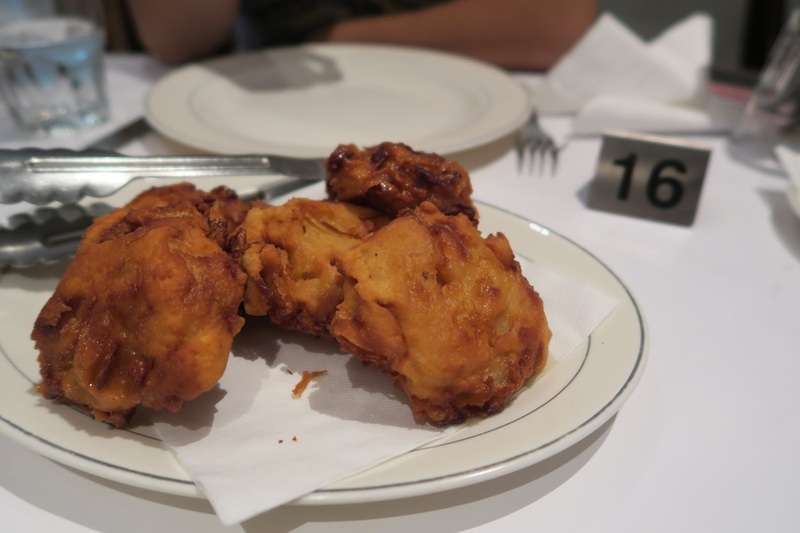 Delhi Streets is located on Katherine Place, a short six minutes walk from Southern Cross Station. 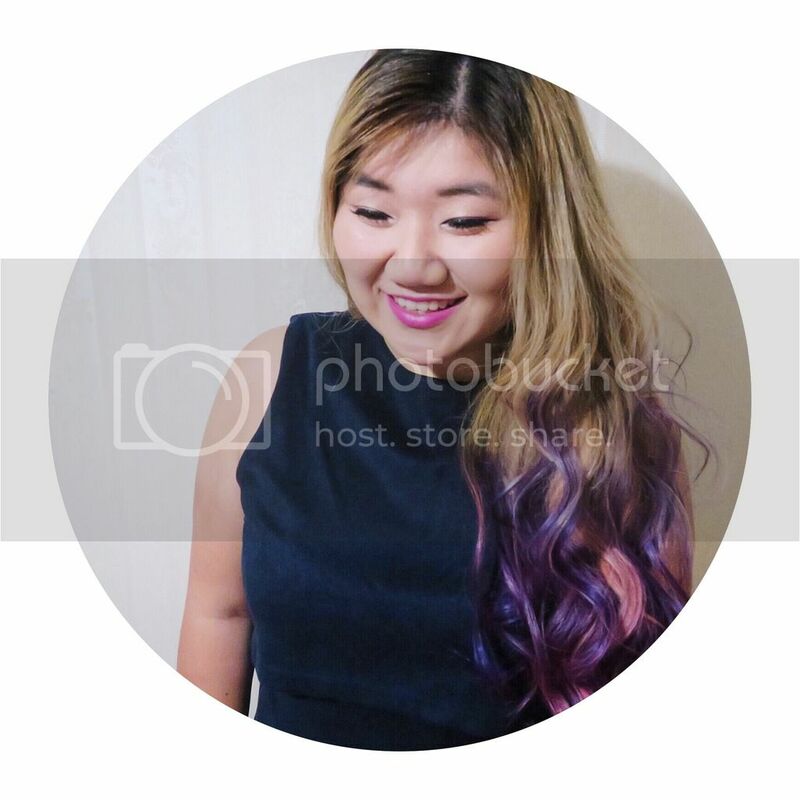 This is such an overdue post, but better late than never right? I spent four days in Singapore back in the end of January, it was my first time at a completely solo trip, and I am so glad that I went! Although four days isn’t a long time, it was enough for me to fall in love with the vibrant city. 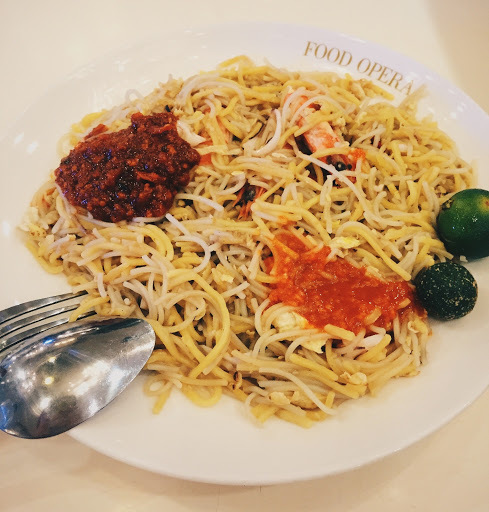 The multi-faceted culture, the friendliness of its people, the humid weather, the beautiful sceneries, the all-so-famous Orchard Road (where all my money went), and most importantly, the food, oh the food, I could literally go on for days. I managed to hit up five hawker centres, and ticked off almost everything on the list that my friend (ily Coco) gave me. Not a bad effort I reckon, considering the difficulty to order for one person at times. 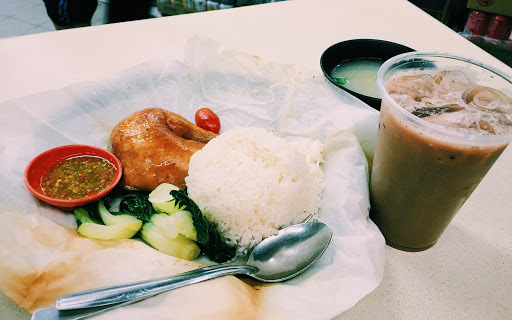 My first meal in Singapore! 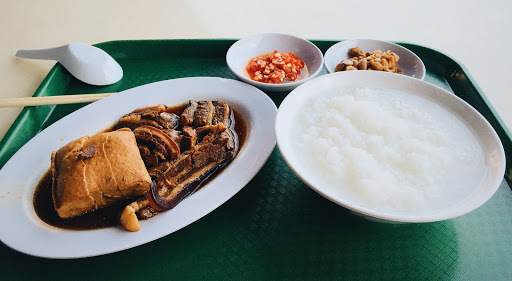 Congee with stewed beancurd and pork belly. I can’t remember the name of this restaurant but it was right across the street from the hostel I stayed at, The Hive Hostel (convenient location, excellent service, would recommend). YES, SO MUCH YES. 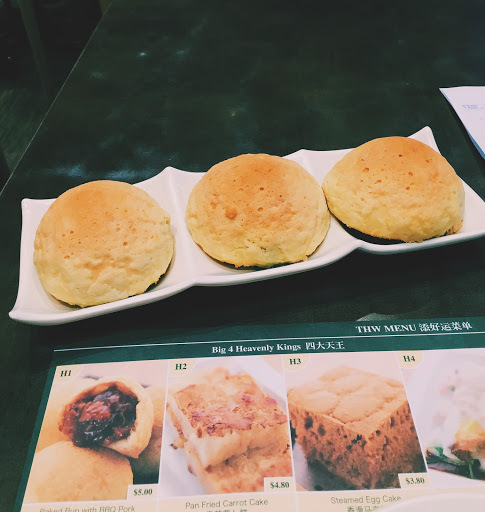 I cannot wait for Tim Ho Wan to open in Melbourne, legit so excited! Literally cannot find this on any menu?! This was again, opposite my hostel. I went here for dinner and the chicken was really nice and moist, and the rice was nice and fluffy! The iced milo was a must, since the humidity is so real in Singapore at all hours of the day. 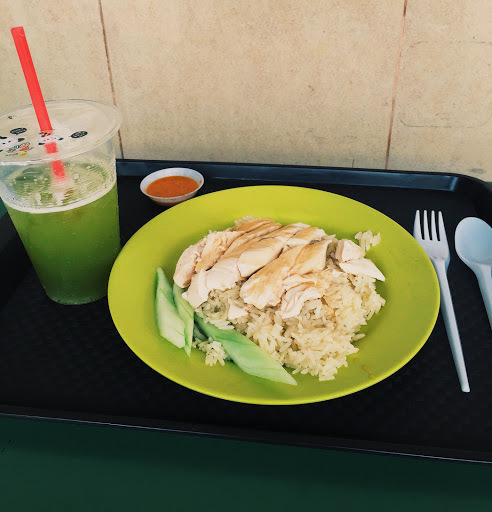 Said to be the best Hainese Chicken Rice in Singapore, of course I had to try it for myself. It was indeed, amazeballz. Seriously, the chicken was tender and flavoursome, but what really made it stand out for me was the rice. The intensity of the chicken stock flavour was insane, I could seriously eat bowls of the rice on its own. Oh yeh, $1.50 sugar cane juice, what’s not to love? 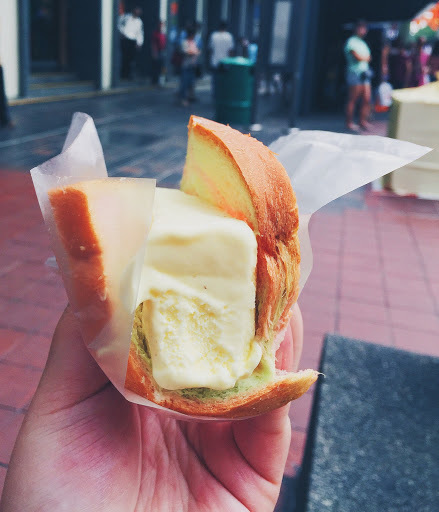 Surprisingly, I didn’t see a lot of ice-cream carts around Singapore, so when I did spot one on Orchard I jumped at the chance. Such a novelty, but was also great for cooling me down! After a stroll in Tiong Bahru (Books Actually is hands down the cutest book store I’ve ever been to! 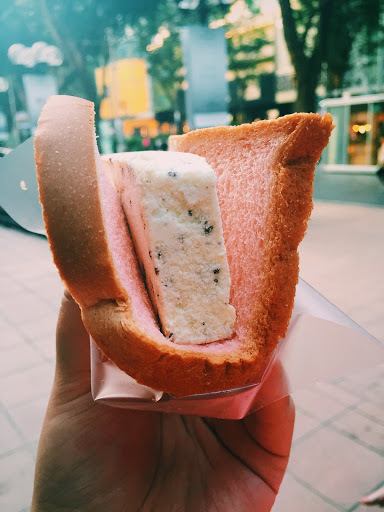 ), I walked in 40 Hands for an afternoon treat. Although no truffle can be seen on the fries, the smell was super strong, and the fries were crispy, with a succinct truffle flavour! The iced mocha was less memorable, but still a necessity considering the weather haha. 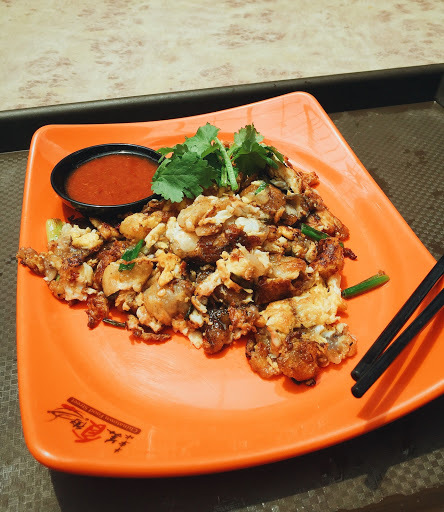 You can’t say you’ve been to Singapore until you’ve had chilli crab, or so I’ve been told. I thought it would be an impossible task for me though, since there was no way that I could finish an entire mud crab on my own. 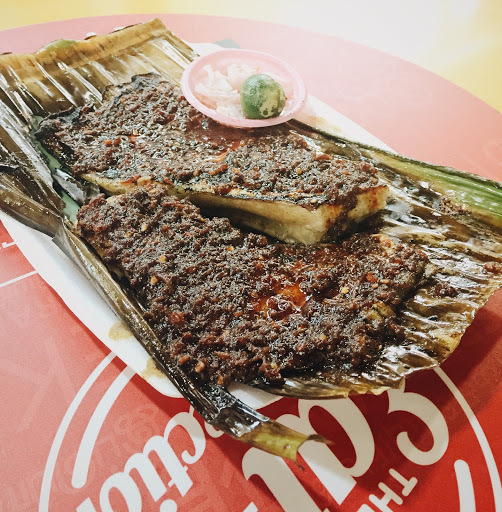 But luckily, after watching the light and water show at Marina Bay Sands, I stumbled upon Makansutra Glutton’s Bay, and there was a stall that served single portion chilli crab! 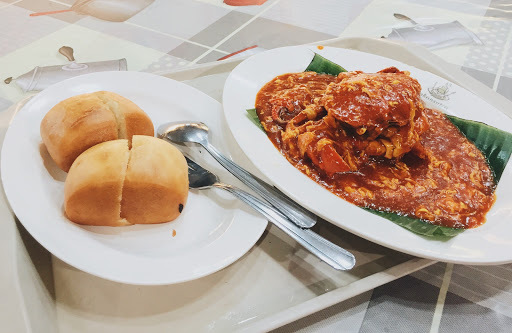 It was sweet and spicy, and definitely left me craving for chilli crab from time to time since I’ve been back. 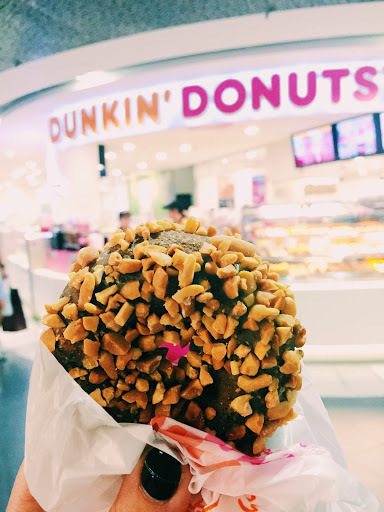 Got this because I always see Dunkin’ Donuts in American Vloggers’ videos, but it was pretty average I gotta say. Although pretty, this was not very substantial! 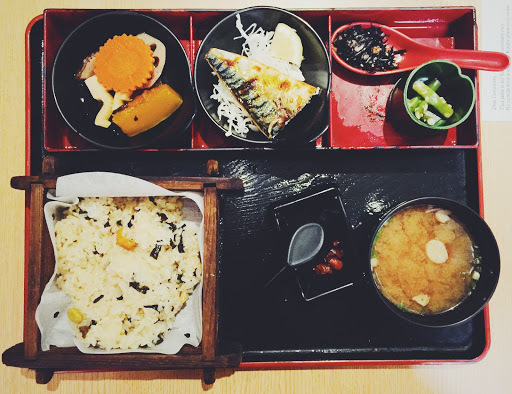 There are plenty of choices in the food court in Takashimaya, and I probably would not recommend this one. 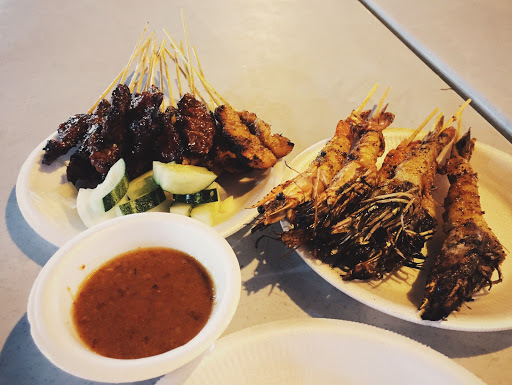 Lau Pa Sat is famous for their satay, so that’s what I went there for! 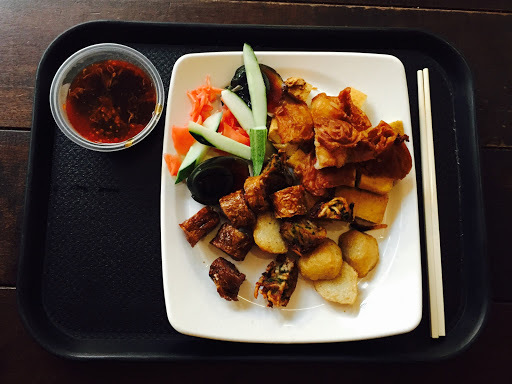 I got the combo that came with chicken, beef, and prawn satay sticks. The chicken was very tender, beef was slightly on the drier end of things, but the prawns were my favourite! I wish we had satay prawns here in Melbourne. 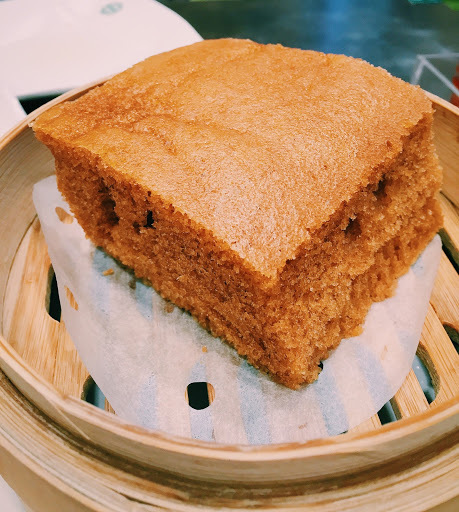 Chin Mee Chin was highly recommended to me by one of my Singaporean friends (thanks Kim!) 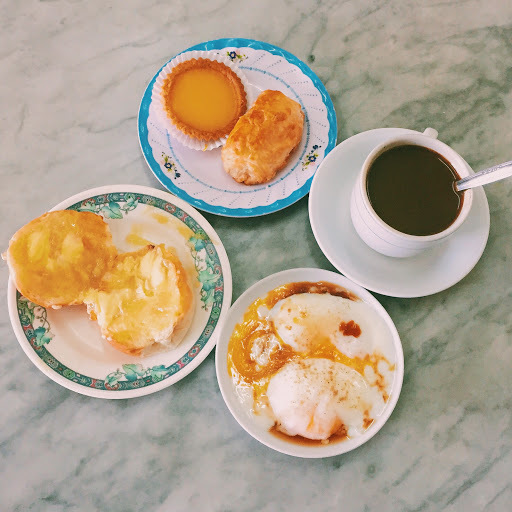 for being one of the last few remaining old school kopitiams in Singapore. So before I ventured out to Sentosa on my third day, I headed off here for some good ol’ Singaporean brunch. 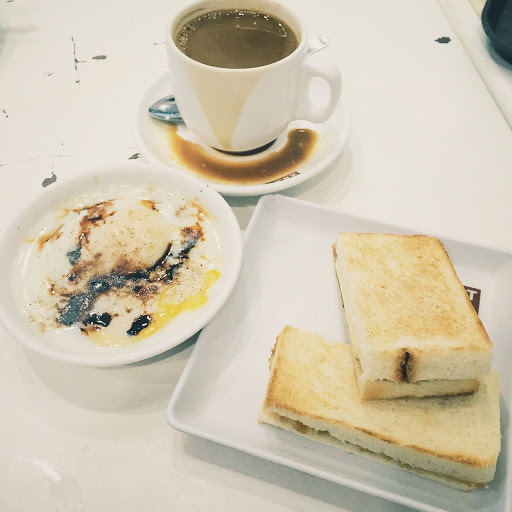 Service was probably the only downside of Chin Mee Chin, the toast was served 10 minutes after the eggs, tbh I think the lady just forgot about my order. 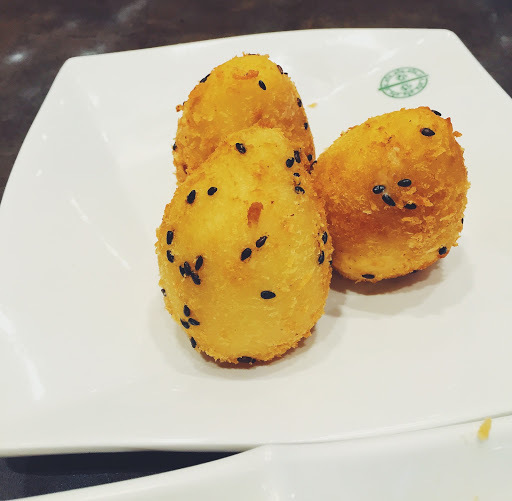 I saw a Din Tai Fung after I came out of S.E.A Aquarium in Sentosa, and decided to finally pay it a visit. 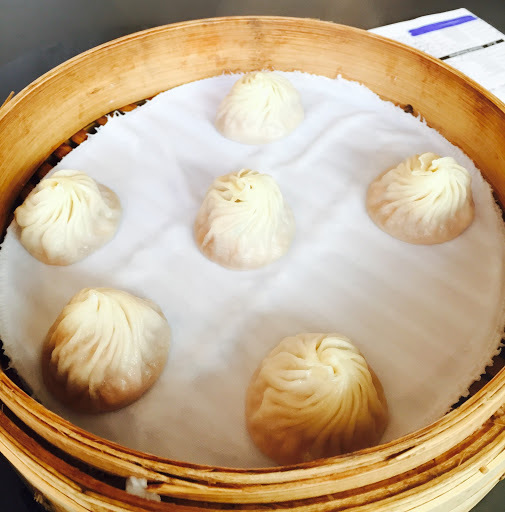 It was my first time at Din Tai Fung, and I’m so glad I went! The restaurant was pretty much empty at around 3pm, compared to the hour long waits at the Melbourne one – I know which one’s my pick haha. 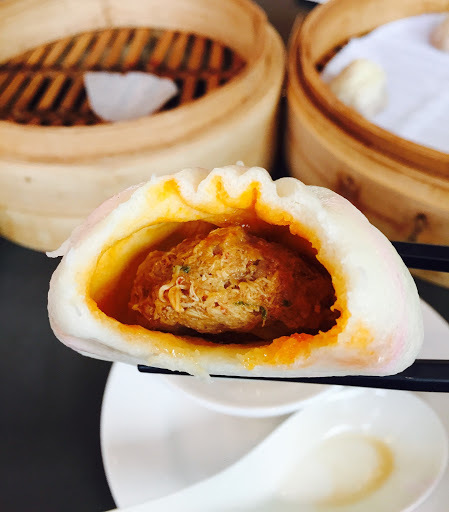 The signature XLBs were delicious, the skin was thin and translucent, and there was plenty of soup to be slurped up. 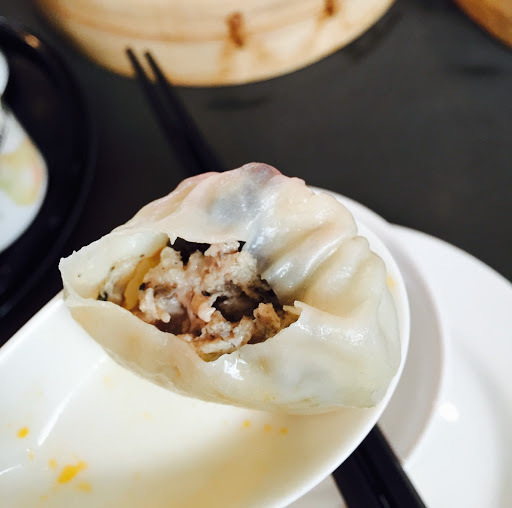 I also tried the truffle and pork dumplings ’cause, well, truffle, need I say more? 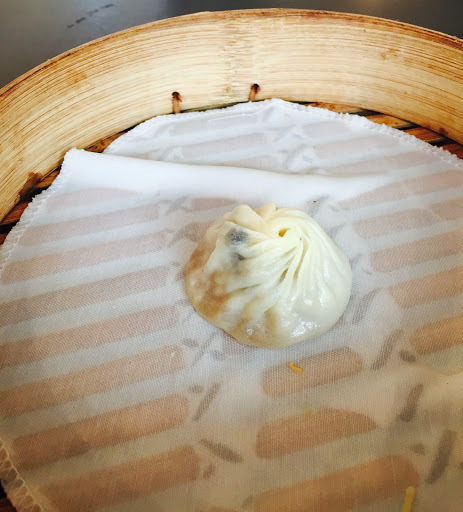 The truffle can be seen and tasted, and adds quite a strong taste to the dumplings. And well, when in Singapore, order anything related to chilli crab right? 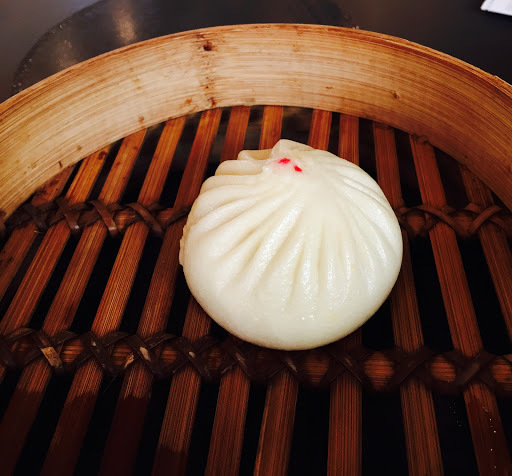 The skin of the bun was light and fluffy, and the folds replicated the folds in the XLB. 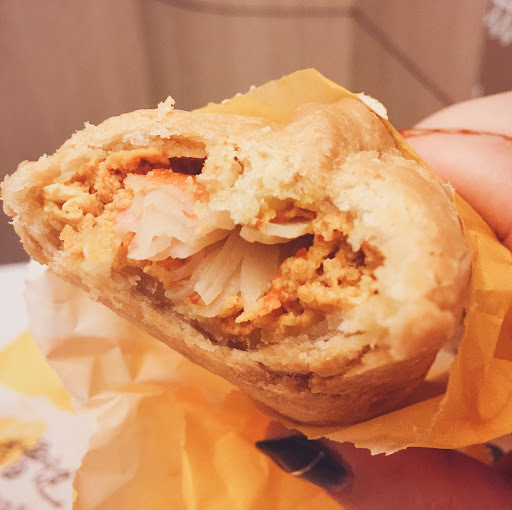 There was plenty of crab meat in the filling, giving the bun a seafood-y crustacean-y taste. Chomp Chomp Food Centre is often said to be the best hawker centre in Singapore, I don’t know if it’s deserving of that title, since everything I ate in Singapore was above par, but it definitely left an impression! I started off with some fried carrot cake, and this was what caused me to seek out Bert’s Cafe. 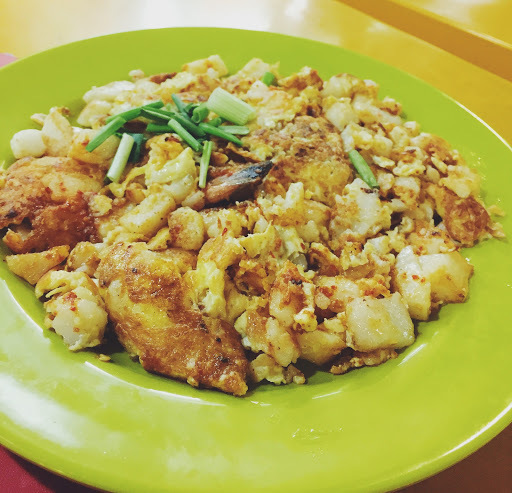 This was probably one of my favourite dishes in Singapore! I’ve never had stingray before, and this exceeded my expectations by far! The meat was perfectly cooked, and there was ample amount of sambal on top to make the fish super tasty. I moved seats so people wouldn’t judge me for eating more HAHAHA. More sugarcane juice ’cause that’s pretty much a requirement. The gong gongs were recommended to me by Kim again, but I wasn’t a fan of these! They tasted kind of funky, but not in a good way. 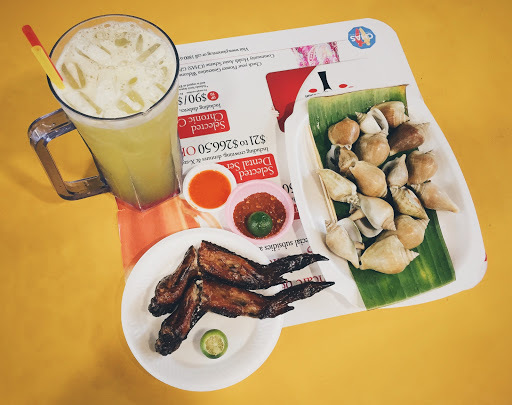 The dollar chicken wings are also quite famous, and they had a sweet glazing, and were fun to nibble on! 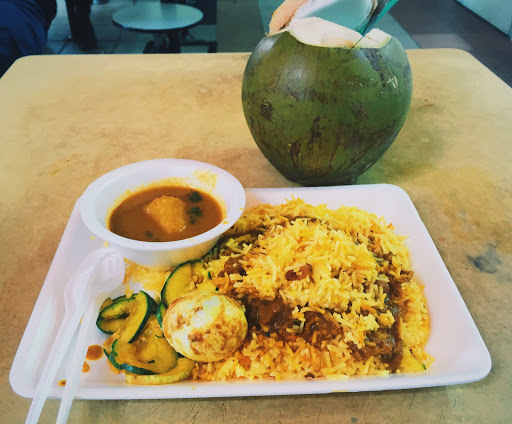 I really wanted to try the chicken briyani, but I was so out of it when I ordered that I got the beef one instead 😦 It was still good though! And the fresh coconut water was also a great thirst quencher. I went to a shopping centre close to my hostel on the last day to try out the curry puffs, and saw Toast Box on the way. I couldn’t say no to one last piece of kaya toast, but these were super dry and yeh, tainted my memory a little unfortunately. 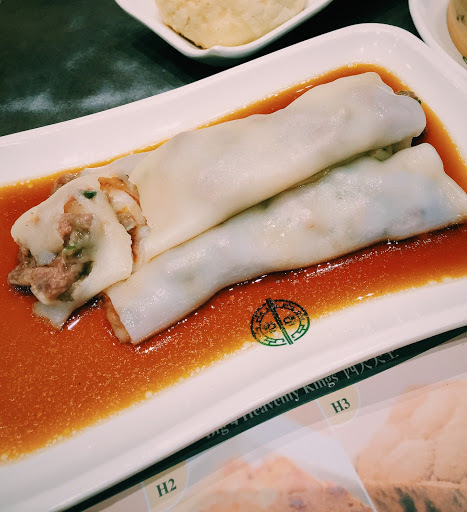 When my friend recommended Old Chang Kee to me I didn’t realise they would be a franchise, but turns out they originated back in 1956, and has since had its shopfronts sprawled all across Singapore, Indonesia, Malaysia, and they even have a store in Perth out of all places in Australia! 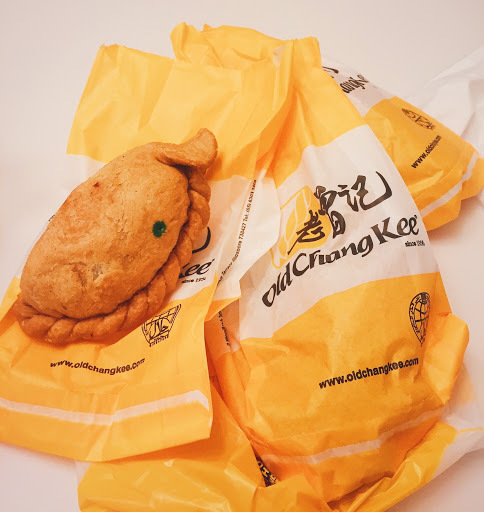 The pastry of the curry puffs were perfectly flaky without being dry, and the chilli crab mixture consisted mainly of seafood sticks, and was a mellower version of other chilli crab dishes I tried. 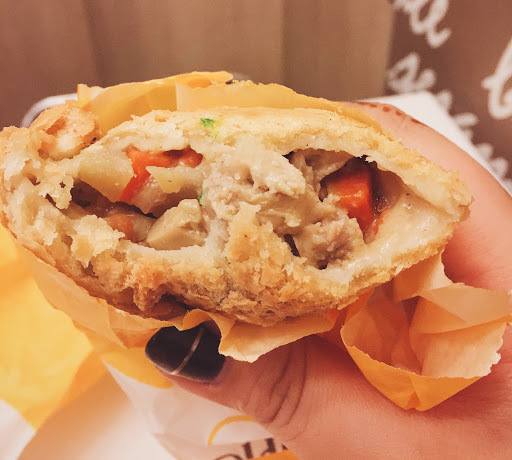 The chicken and mushroom filling reminded me of a pie, and was very creamy and subdued in comparison to the chill crab curry puff. 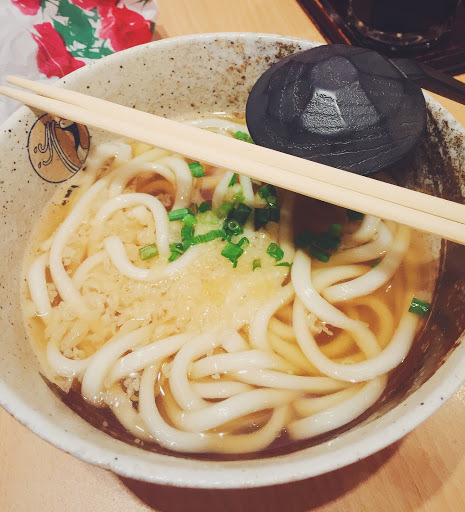 For my last meal, I asked for recommendations from the girl at the hostel, who was super friendly and nice throughout my entire stay. She told me to get the banana roti from this place “down the road”, so off I went. But I was told that they didn’t have time to make the banana roti or something? Since I was there already I just picked something else off the menu and took it back to the hostel to eat. 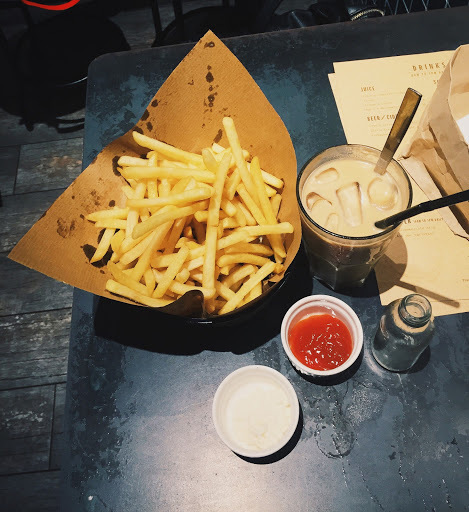 The food was unmemorable, I just remember we kept on laughing at the most random things and before you know it, it was time for me to take a cab to the airport! Singapore certainly left an impression on me, and I can’t wait to visit it again in the near future! On top of the amazing city itself, Changi Airport is perhaps the best airport I’ve ever been to, I might even purposely book flights that have a long layover time in Singapore just to explore haha!